Hi, I'm Jeffrey Simons the team lead of The Four Seasons Real Estate Group here in the Yorba Linda Keller Williams Office. I have been blessed to be married to my best friend Kristina since 1997, we have 3 amazing children, and live in the city of Orange. Since 1996 we have helped families refinance, purchase, sell, relocate, exchange and navigate through a variety of various market conditions. When it comes time to help you and go to work… It’s my role as your trusted advisor to be your consultant, negotiator and the one who oversees all the transactional details!!! My team and I are totally committed to providing you, our client a world-class level of real estate service that is above and beyond expectation in professionalism, service and quality. I am thrilled to be in business with Kathy Williams my Executive Assistant. Kathy recently moved to the Yorba Linda area after marrying her best friend of 7 years. With the support of her husband, family and friends, she is proud to say that "I have received a well rounded education with a bachelors degree in psychology and a masters degree in educational counseling". Kathy's passion in life is to help others and make a difference in the lives of others. Keller Williams 2015 Regional Cultural Icon Award Winner - 2011-2016 Double Gold - Platinum award winning team. View our Zillow 5 Star Reviews Here! "Jeffrey Simons and his team guided us through buying and selling homes recently. We had been looking for 3 years and talked with many agents. When we signed with Jeffrey, things began to happen. He showed us several properties while listening to our needs and preferences. When we found a home that seemed perfect for our retirement years, he was quick to make things happen in our favor. Jeffrey and his acquaintance with the sellers agent assured her that we were very interested in presenting an offer and well qualified. As a result, our offer was accepted. Jeffrey and his team patiently and knowledgeably led us through the buying process. They accommodated us in every way from scheduling appointments to fit our needs to answering all our concerns. Because of the teams timely responses and professionalism, we now live in a home we never dreamed we would find. We moved into our new home from a house we owned for 43 years. We cannot recommend them or thank them enough! " "Jeff and Elyse were great to work with in purchasing my home. They were knowledgeable and responsive. From property search to escrow closing, every step was done professionally, with a keen eye on client experience. Jeff had great knowledge of the local market and inventory, and provided a lot of sound advice in selecting the right property. Elyse was very hands-on, and guided me through the entire escrow process. She always thought a few steps ahead and made sure there was no chance of unnecessary delay in the process. There were several instances where small issues arose, but Elyse always got right on the issue and got the right information to the right place." "We contacted Jeffrey because we had been forced into a short sale situation and had a friend who had also used Jeffrey's team's services a couple years back. We are SO glad we took our friend's recommendation. Even though we were somewhat out of their geographic area, Jeffrey impressed us from his first personal visit all the way through the successful sale and close of escrow with his dedication to service. His professionalism and industry knowledge were fantastic, but what really sold us was his honesty in presenting a realistic assessment of our situation and providing us with reasonable expectations about both the pricing and the process. His support team didn't fall short of what we got from him, always keeping us current on the process and responding to any questions of documentation needs. They obviously know the 'short sale' business and were able to navigate the issues from our two mortgage holders without any problems. We highly recommend them! " 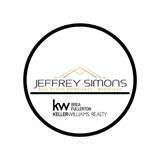 "Jeff Simons was professional, honest, and knowledgeable in helping us find a home. He was patient and supportive with our decisions. I would highly recommend him as a realtor to someone buying or selling a home." "Jeffrey Simons and his team helped our family sell our first house and purchase our forever home. Their professionalism, attention to detail and personal touch was the perfect balance we needed in a real estate team." "Jeff and his team helped our family find our forever home after 4 years of searching! They were patient and professional showing us multiple listings and writing multiple offers throughout the years. Real Estate can be a roller coaster with twist/turns full of emotions and we are so grateful for The Four Seasons Real Estate Group to help us navigate this process." "Outstanding team! Jeffrey and his team went above and beyond for our family in selling our home and purchasing a new one. So knowledgable and extremely helpful anytime we contacted them. Thank you so much!! We will highly recommend you to any of our friend and family." "Jeffrey Simons and Associates helped us every step of the way. We had an initial meeting during which we went over the entire home buying process and what to expect. Jeffrey Terreros, our buyers specialist, helped us identify homes in our price range and was always available via phone. He stuck by us every step of the way throughout the ups and downs of our buying experience. He helped us find our dream home and we are especially grateful." "I just bought my second house using The Four Seasons Real Estate Group. I cannot speak highly enough about this whole team. The ONE single most important thing that a real estate team can possess is having organization. This team is like a machine and never leaves anything out. Every I is dotted and T is crossed TWICE. In a market flooded with subpar real estate agents, you cannot find one single team that even comes close to The Four Seasons Real Estate Group. They are head and shoulders above their competition and I can promise that you will be blown away by their abilities and you WILL find "a real estate agent for life". I could go on and on but seriously, who coordinates to have pizza and sodas delivered to your new home on moving day??? This team does. The entire process, every day, I was baffled by how meticulous this team is and can't recommend this team enough. I don't normally write these reviews but when people are this good they need to be recognized ~Scott & Jessica"
"Jeffrey, Good evening. Before too much time passes and we get distracted with our upcoming move, I wanted to take a moment and that you and your entire staff for a job well done! Dare I say, our home buying experience was virtually painless. Jeff did an OUTSTANDING job every step of the way. His thorough communication and ability to walk us through the entire process was wonderful and very much appreciated. Likewise, Linda was very helpful and informative with all her correspondence to us. At the risk of overlooking others, please extend my gratitude to the entire staff. Take care and have a great evening! Best, Joseph D. Emens"
"We worked with Jeff to sell a house that we had in probate. He not only worked with our attorney but also help us decide on what repairs needed to be competed to help with the sell. We were out of state so it was very important that we have someone looking out for our best interest. Jeff made this process much less painful. When we finally listed th home we had multiple offers in the first few days, which Jeff helped us navigate through and understand the pros and cons of them all. Once an offer was accepted he managed the inspection process and brought the whole thing together with his team and closed in less than two weeks. Jeff and his entire team were very attentive and responsive to our needs and no matter buying or selling I would feel very comfortable dealing with this team!"